Ladies and gentlemen, there’s a new museum in town. Though it seemed like it never would, the moment has finally arrived. At long last, the New Acropolis Museum officially opens its doors to the public in June at a cost of €1 per ticket, “a symbolic gesture of thanks to the Greek taxpayer who helped fund this ambitious project”. The wait was longer than one would think. Plans to build an Acropolis Museum have been floating around since 1976; with three previous competitions having fallen by the wayside due to the discoveries of archaeological sites at proposed building spots which halted any chance of construction completely. This problem was rectified by the final design that stands today, built on columns that protect the archaeological site below - an ancient Athenian neighbourhood that dates from 3000 BC to 1200 AD. Divided into five key historical periods, the museum building contains finds from the slopes of the Acropolis, works from the archaic period, the Classical period, the post-Parthenon period and the Roman period. Designed with sensitivity to its exhibits, the museum has been created with the express purpose to house mostly sculptural artefacts taken from the Acropolis and emphasises the importance of natural light, exemplified by the extensive use of glass in the construction. Though the design has met with criticism for being too contemporary, the concentration on light and movement through minimal structures was not without reason. "Within the unusual constraints of the site, the project appears effortless and almost undersigned. The goal of the orchestrated simplicity is to focus the viewer's emotions and intellect on the extraordinary works of art," notes architect Bernard Tschumi, who worked alongside Greek architect Michael Photiadis to complete the project. Covering 25,000 square metres, the building can be separated into three distinct sections, and no stone has been left unturned in its aim to firmly merge the vast museum structure with the fabric of its historic surroundings at the base of the Acropolis hill. The entrance to the museum highlights its archaeological foundations through a glass floor, in which the ancient site below is clearly visible. From there, the main part of the building houses exhibits which eventually lead to the Parthenon Gallery, a ‘glass top summit’ that crowns the museum with angles that allow visitors to view the Parthenon and its sculptures simultaneously. Built with the precise geometry and dimensions of the Parthenon, the Parthenon Gallery will display the remaining Parthenon marbles in Athens. Of course, there will be a few empty spaces which highlight those marbles which are absent, marking a sustained silent protest towards the British Museum’s reluctance to return the notorious Elgin Marbles, a statement with greater force than any protest or argument, according to Culture Minister Antonis Samaras. Considering the museum was built in part as a reaction to the British Museum’s claims that Greece did not have adequate means to house and protect the marbles, a new platform surrounding this murky debate has just been added to the mix, and the controversy will no doubt continue for years to come. Yet despite the museum’s preference to keep mum on the divisive subject of the marbles, the opening festivities that have been planned will no doubt indirectly bring the Parthenon marbles to the forefront. The inauguration events commence on June 17 with a press tour, followed by a day devoted to archaeologists and academics, and a tour for foreign press on the 19th. The doors will open to the general public on June 20, and it is set to be a glittering affair. Heads of state, prime ministers, among them Tagip Erdogan of Turkey, commissioners of the European Union, the President of IOC, Jacques Rogge, the Director General of UNESCO, Koichiro Matsoura, and representatives of the Melina Mercouri Foundation have all been invited. With an opening that is designed by Artistic Advisor Athena Tsagaris in collaboration with Dimitris Papaioannou, who also designed the opening ceremony to the 2004 Olympics, the museum admits to having a few surprises up its sleeve. Coupled with a heavy advertising campaign that will announce the opening, it seems the museum carries high cultural hopes on its shoulders, and those hopes are not limited to the Elgin Marbles. 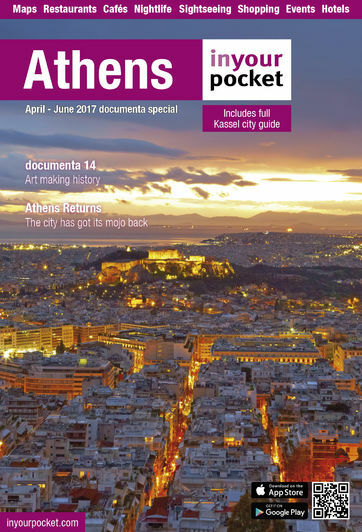 Poised to become a monument to Greek culture and a source of national pride, the official opening on the 20th is set to be a memorable moment for the city of Athens and for the country itself, and the museum’s estimate of receiving 2.5 million visitors annually could very well be an accurate prediction.